When I last reported, your final 4 were Hannah Godwin, Caelynn Miller-Keyes, Tayshia Adams, and Cassie Randolph. Their hometowns were filmed in that order beginning on Oct 27th and ending on Nov. 2nd with a day in between each. The final four rose ceremony was in LA on Saturday, Nov. 3rd, and Caelynn Miller-Keyes was eliminated. The final three then headed off to Portugal. This is where things got a little weird. Weird essentially means different since it’s something we’ve never seen happen on the “Bachelor” before. 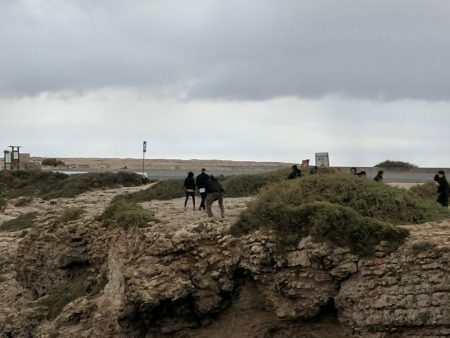 On Tuesday, Nov. 6th, Tayshia and Colton had their overnight date in Sagres, Portugal. Here is a picture of them walking together near the famous lighthouse on Cabo de Sao Vicente. On Thursday, Nov. 8th, Cassie Randolph had her overnight date. A decision was made on this overnight, or maybe the next morning when he woke up (I don’t know, I don’t live in Colton’s head), that Cassie was the one he wanted to be with. Colton never even went on his overnight date with Hannah. I’m sure she thought they were gonna go on one but at some point after his date with Cassie, he told Hannah that Cassie is the one he’s in love with, wanted to pursue, and sent Hannah home. He also told this to Tayshia. I’m not sure what order he did it in, but both Tayshia and Hannah were eliminated at this point because he wanted to pursue Cassie. And now, Colton is engaged to Cassie. UPDATE: This finale spoiler was updated on Jan. 2nd which you can read here. Colton and Cassie are together, but they are not engaged. Not surprising since I told you weeks ago I’d be stunned if he didn’t choose Cassie based on what I was hearing. This opens up a lot of possibilities when it comes to the scheduling and how this will play out. In 22 previous “Bachelor” seasons, we’ve never NOT had a final rose ceremony where two women show up, one gets dumped, and one gets picked (minus Brad Womack 1.0 where he dumped both). Regardless, there’s ALWAYS been a final rose ceremony featuring two women competing against each other. So not only do we not have a final rose ceremony with two women, we don’t even have a FINAL THREE rose ceremony this season, since Tayshia and Hannah were eliminated by Colton before it even got to that point. Only on the “Bachelorette” have we seen them be able to eliminate their final 2 guy before that final day. And it happens quite a bit. 1) How will this be shown on TV? So I’m gonna try and explain how I THINK this will play out based on the schedule and what not. It might get confusing, but hopefully it won’t. Well if you look at what happened this season, there’s no way they’re going to be able to pull 4 hours of footage out of the overnights & finale. Not with only two overnight dates even happening and no rose ceremony. Thinking like a normal season, you’d have everything happen in the overnight date episode (overnight w/ Tayshia, overnight w/ Cassie, dump both Tayshia and Hannah to pursue Cassie), then…what for the finale? 2 hours of no suspense since we already know who he’s chosen? That ain’t happening. Their finale has to have build up or suspense to the average fan who doesn’t follow spoilers, which is a majority of their audience. Again, I don’t see any way they can make the overnights and finale two separate episodes this season with the lack of footage they have, since we know at some point during the overnight date episode, he’s eliminated Tayshia and Hannah and chosen to be with Cassie. Maybe that’s just me. None of this is confirmed in terms of the scheduling, but my guess is, neither Tayshia, Hannah, or Cassie are part of the “Women Tell All” next year, it airs in its regular Monday slot, and then the following Monday, we get the “Finale” which is essentially the beginning of the overnights, starting the episode with all three women in Portugal, and by the end of the episode, he’s with Cassie and will have sent Tayshia and Hannah home. Obviously we don’t know their schedule yet and won’t until next year, but that is my best bet as to how it will play out knowing that he sent Tayshia and Hannah home in Portugal with one of them not even getting her overnight date. As for the WTA, I don’t see how you can air that before the finale with Tayshia and Hannah both in attendance. Would make no sense whatsoever. 2) So who met his family overseas, if anyone? I don’t know the answer to that. My guess is only Cassie met his family. I don’t see how or why Tayshia and Hannah would’ve since neither of them didn’t even make it to the end of the overnights episode. 3) Why has Cassie come back on Instagram but Tayshia and Hannah haven’t done anything on social media publicly and they’ve been back for at least two weeks now? I wouldn’t read into social media activity at all though in regards to how the show ends. He’s not with Tayshia or Hannah G. He’s with Cassie. So I don’t find it relevant one way or another why neither have chosen not to be very active on social media since they got back. Maybe producers told them to lay low for a while. They’re active privately, I can tell you that. Just because they’re choosing not to be active publicly doesn’t mean much to me. 4) Is there anything you reported that was wrong? (SPOILER): The “Bachelor” is filming the final rose ceremony today in Mallorca, Spain. That’s 4 separate days that are used for filming in any other season, but this season weren’t needed. There will be a lot of questions regarding all that happened in the week from when he had his overnight date with Cassie (which was Thursday, Nov. 8th) to the final day of filming, which I don’t even know what day it took place on now, but allegedly was a week later on the 15th when I sent the tweet. And maybe Colton and Cassie did still go to Mallorca, Spain. Or maybe they stayed in Portugal. All that stuff is semantics at this point that I don’t know if I’ll get an answer to. I’m pretty sure they still went to Mallorca, Spain for something because I trust my sources, but at what point, I’m not sure of. 5) Why was Colton allowed to do it this way when none of the previous 22 Bachelors were allowed to? Not sure. What I do know is they chose Colton for a reason. And Colton made it known to those around him that he’d be willing to do whatever they wanted him to do this season for ratings. Great philanthropist, glad that he helps with numerous charities, but it doesn’t change the fact that this role is something he wanted from the second he showed up on Becca’s season and something he knew would increase his brand name. Colton is no different than the ones that came before him and I’m sure the ones who will come after him. This is all about brand recognition for himself and his foundation. Which he will get a lot of. The guy LOVES the fact that he’s the “Bachelor.” I mean, look what he did last night. Already having fun with the fans. You guys read in to things wayyyy too much… can’t a guy just take his pregnant gal out on a date without speculation on his virginity? ????? Can you remember any “Bachelor” in recent memory who came back from filming and essentially started trolling his own fans? You can’t because it hasn’t happened. They all just give the same “Can’t wait for you to watch this season” blah blah blah stuff. This guy is tweeting out pregnant woman emoji’s and pretending he’s on a date at the Nuggets game when he was clearly hanging out with Blake. He can’t help himself. He’s soaking up every second of attention he’s getting. Talk about thirsty. Geez. He’s also pretty sensitive when it comes to any criticism he receives on social media, so, just be aware of that. The guy does not handle criticism well at all, so this is gonna be a fun season just to watch his social media and how he reacts to people. Especially ones who have been attacking him non stop since the Tia stuff. He’s gotta get a better grip on what people say to him or he’s gonna lose his mind. Calm down, man. Quit caring what random strangers think of you so much. 6) Did Colton lose his virginity to anyone? I don’t know. But I guarantee you if he did, we will know about it at some point. You’ve seen the trailer and the promo poster for the season. Everything is centered around his virginity. Something he was well aware of going in was going to happen and obviously didn’t have a problem with because he agreed to do it. But I don’t see how it’s not addressed at some point on the show or at the ATFR. 7) Will Colton and Cassie get married? So there will no doubt be tons of rumors and speculation for the next few months until we get to the finale. I’m already hearing it. 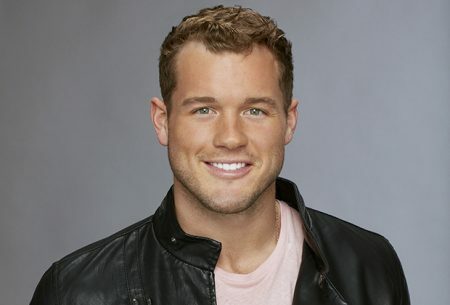 All sorts of rumors and stories flying around in Bachelor Nation about Colton’s season. Like I mentioned, from the time of Cassie’s overnight date until the last day of filming, the only details I have are that he ended it with both Tayshia and Hannah. So what happened after that in terms of filming, I don’t know. I’m sure stuff will come to me during the next 3+ months, but the bottom line is we’ve never seen anything like this on the “Bachelor” before where the lead ended it as early as he did. It’s never happened. And will make for some interesting television once we get down to the start of overnight dates. But he’s engaged to Cassie, and I’m sure he’ll troll everyone on social media for the next 3 months doing whatever it is he’s gonna choose to do. Probably gonna have your episode-by-episode spoilers a little sooner than usual this year. Once traveling started, I know who went on the dates, but not necessarily know exactly what all of them did. Not hard work, just tedious to put everything together, so give me a couple weeks to get it all together and see if I can fill in any more blanks for you. they decided to go ahead, mix it up, and work with him on it. At least it’s not the same ole, same ole we always see. My guess? Colton lost his virginity to Cassie and realized that he didn’t want to be with anyone else. Hence: game over. He sent the other two home. After watching all the seasons, I will not be watching this season. They made a mistake in selecting Colton. Predicting low ratings. 2) He’s thirsty (check. pretty obvious which makes him as boring as I suspected). I don’t see the schedule changing much. They’d be flushing way too much ad cash down the toilet. They could easily end the overnights with Colton telling Hannah buh-bye. Then they could have Colton eventually tell Ayeshia buh-bye well into the final episode. Maybe after Cassie meets Colton’s parents. We’ve seen the show load lots of filler into the finale before. They’ll just have to do a little more of that this time. That will be the subtext, I agree. I wonder if it will be implicitly or explicitly said. Truthfully, I’ve known a fair number of guys, including both my brothers, that married the first girl they slept with. It’s kinda hard to understand, but it happens more than some people think. For someone who says they don’t care what other people say or think about him, RS sure spends a lot of time writing he doesn’t care what other people think. I agree with the others about the Fantasty Suite. However, I would add that this is the story they hoped to craft; therefore, if indeed it happened, they were content to change the process to keep him happy as well as to shake things up. They may well fill in some time somehow…we will see about that. They may be hard pressed to give up allotted air time, and goodness knows past contestants love to come back on and give their 2 cents. Wow, what I got from this is 1) Colton is a wash and no need for me to watch the season. 2) Steve is one of the most insecure and arrogant people I’ve seen in a very long time. The two often go hand and hand so I am not surprised. Lighten up Stevo, it’ll be okay you little attention seeker. Carry on. Thank you so much for all your hard work. I really enjoy reading what you have to say.